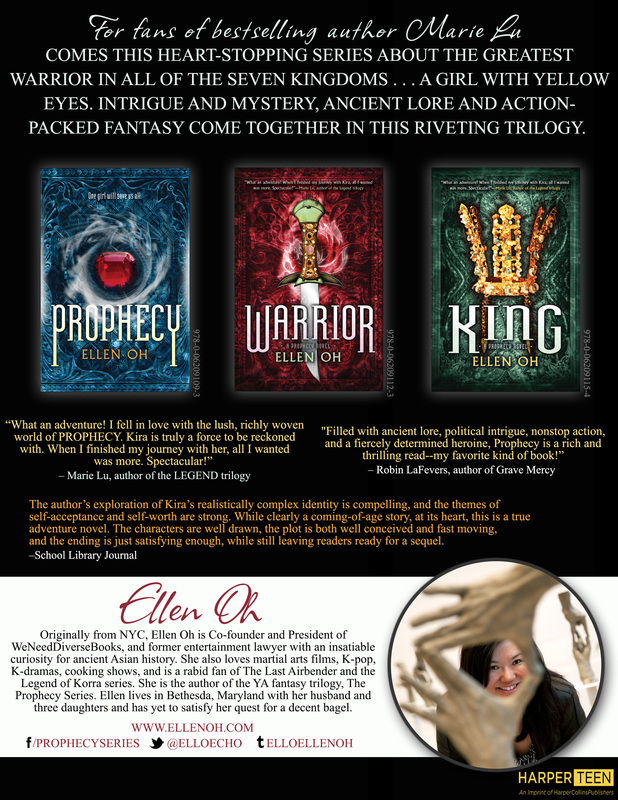 King by Ellen Oh, founder of #WeNeedDiverseBooks, will be loved by fantasy and action fans of Kristin Cashore’s Graceling, Tamora Pierce’s Tortall novels, and Marie Lu’s Legend series! 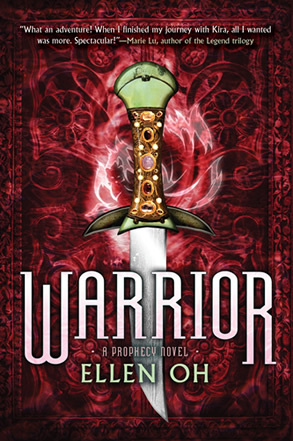 This thrilling and romantic conclusion to the Prophecy series brings Kira her final quest. Girl warrior, demon slayer, tiger spirit of the yellow eyes—Kira is one captivating heroine. 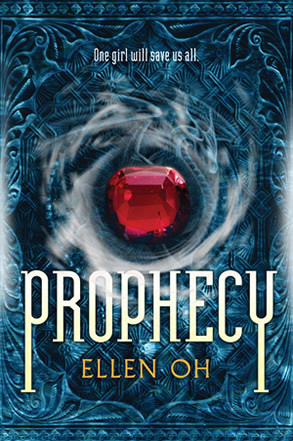 Author Marie Lu raved, “After finishing my journey with Kira, all I wanted was more!” Here is the much-anticipated final installment in the Prophecy series! 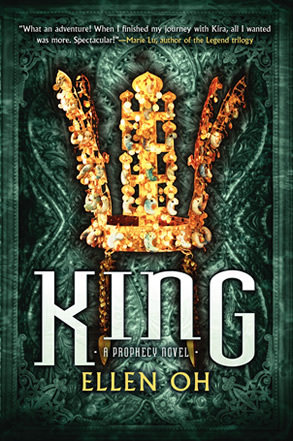 King by Ellen Oh, founder of #WeNeedDiverseBooks, will be loved by fantasy and action fans of Kristin Cashore’s Graceling, Tamora Pierce’s Tortall novels, and Marie Lu’s Legend series! This thrilling and romantic conclusion to the Prophecy series brings Kira her final quest. Girl warrior, demon slayer, tiger spirit of the yellow eyes—Kira is one captivating heroine. 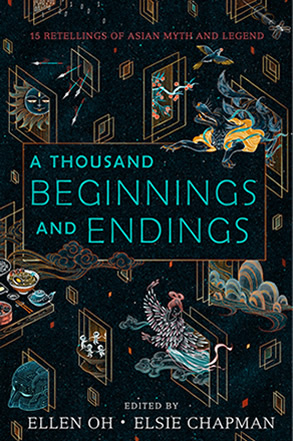 Author Marie Lu raved, “After finishing my journey with Kira, all I wanted was more!” Here is the much-anticipated final installment in the Prophecy series! Kira, the yellow-eyed demon slayer who fiercely protected her kingdom—and the crown prince—has been proclaimed the Dragon Musado of the prophecy. With the help of the first lost treasure, the legendary tidal stone that controls the seas, she defeated the evil shaman. Hansong is in chaos. The Demon Lord’s minions have infiltrated the city, treason is brewing among the military ranks, and Kira is buried by the overwhelming loss of her parents. She’s also plagued by the annoying feelings that blossom whenever she’s around Jaewon. But she is determined that nothing will stop her from finding the second treasure needed to fulfill the Dragon King’s prophecy. Not even the army of half-breed demons hot on her trail. If only she could learn to trust others . . . 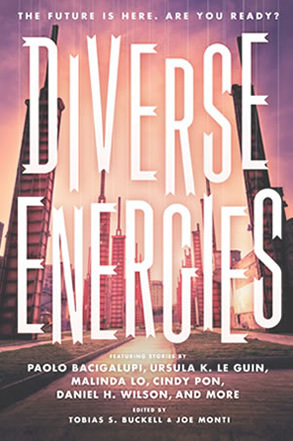 The stories in Diverse Energies journey through many alternate histories and projections of the future, but all have one important element in common: the inclusion of people of color. At a time when some fans have criticized The Hunger Games for casting African American actors to play Rue, Thresh, and Cinna, it is more important than ever that science fiction and fantasy worlds include a truly diverse cast of characters. Stories include Paolo Bacigalupi’s “A Pocketful of Dharma,” about a young boy in a futuristic China whose encounter with a Tibetan conspiracy changes his life. Malinda Lo’s “Good Girl” is about a girl searching for her brother in what they think is the last city on earth, a doomed, tightly controlled New York City. “It’s about manipulation and loss and the hope of possibilities,” says Whitman. Meanwhile, Ellen Oh’s “The Last Day” takes a second look at history and considers what might have happened had Nagasaki and Hiroshima not ended the Pacific Theater of World War II. WELCOME TO THE WORLD OF THE SEVEN KINGDOMS! This map is my invention, illustrated by the extremely talented illustrator Virginia Allyn. It is my recreation of a mystical and fantasy version of Ancient Korea where there are seven distinct kingdoms. 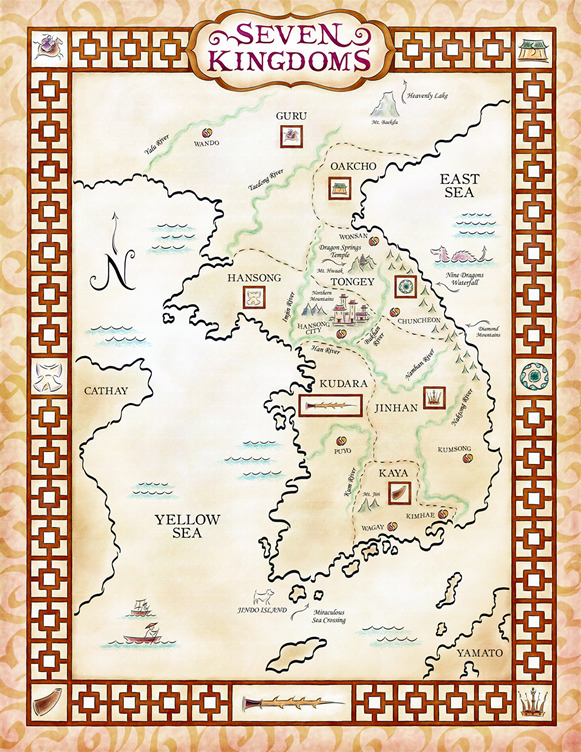 Because this map is based on my imagination, you will not find a map like this in any Korean history book. But then again, if you look for maps of ancient Korea, you will find that no two are exactly the same. I was amazed to find how different historians have interpreted the boundaries of ancient Korean kingdoms. The truth is no one can know for sure what a real map of Korea would have looked like during this time period. When I first became interested in writing a fiction novel on ancient Korea, I contacted a famous professor of Korean history from Harvard University. I asked him what I could do about historical accuracy given my difficulties in finding sources of research for my subject. He stated that it was a good thing I was writing fiction because not a whole lot is known about this period! And he was right. This is a difficult period of time to research, but what is known about it is fascinating. My novel is based on a time period between 300 and 360 A.D. in ancient Korea when there were many walled city states and warring kingdoms. Some of these city-states became famous kingdoms of ancient Korea. They were Koguryo, Paekche and Shilla – known as the Three Kingdoms. Kaya was also a walled city state of the time, but because it was more of a confederation of many walled cities, it was not historically referenced as one of the Three Kingdoms. While each of the Three Kingdoms developed into a centralized state at different times, this period can be said to have begun around 350 A.D. and ended in 668 A.D. Koguryo, the oldest of the kingdoms, began its monarchical rule with its first king, T’aejo, in 53 A.D. However, both Paekche and Shilla did not centralize until much later. Paekche consolidated its power in 369 when it destroyed the Mahan kingdom. Shilla evolved from a walled town state of Saro and became a large kingdom by 356 A.D. The armies of all of these kingdoms were always fighting against one another. These were violent and turbulent times. Hansong Kingdom – based on the walled capital city of Paekche called Hansong. It is the location of modern day Seoul. Guru – based on Koguryo, one of the Three Kingdoms. Kudara – based on Paekche, one of the Three Kingdoms. JInhan – based on Shilla, one of the Three Kingdoms. Kaya – sometimes referred to as the fourth kingdom, Kaya is based on the kingdom of the same name. Oakcho – a walled city state of the same name. Tongey – a walled city state of the same name. Cathay – located in what is now modern day China. Yamato – the early island nation that we now know of as Japan. Because of the close ties between Paekche and Yamato, many historians believe that the Yamato descended from the ancient Korean kingdom of Paekche. Archeological evidence validates this claim, clearly showing the prevalence of Paekche culture incorporated in early Yamato history.